C-ute’s 15th single MV entitled Kiss me Aishiteru was released just recently on C-ute official youtube channel. The single will be released on the 23rd of February. Returning myself to the Hello! Project fandom! Hey y’all. It’s been a while since I blogged about something. I actually tried a lot of time but I only end up not finishing those posts. But here’s a more serious one that I’m gonna post. Yes finally! It’s been a while since I last got my head into any Hello! Project songs. Yes I am aware of the new releases and all but I never had and LSS on any Hello! Project song for quite some time now. Normally it’s been Big Bang, Taylor Swift, Camp Rock, Justin Beiber, and some old school OPM songs. But heck I still love Hello! Project the same way as before. To start things of. Here’s one of my favorite Hello! Project groups Buono! with my favorite song from them, Kiss Kiss Kiss. I still love this song no matter what. And Airi. Yes I never get tired loving her. She’s still my all time favorite. Like my Lebron James only on Hello! Project. Speaking of Airi, have you seen her new Photobook. Well it’s just plain love. She looks so mature yet still a young lady. Yes she’s sooo pretty I know. I love that red two piece on her (because red is my favorite color). Okay so I found this two pics interesting. The top one is from the new photobook while the bottom one is from Ao Iro. I just find that the shirt they’re wearing are quite the same. Maybe different in color but it looks so so the same. Yes I’m watching We are Buono! concert right now. Don’t be surprised. Yes I’ve been into Big Bang a lot since July but I never forgot them. So as what I have heard. Momo and Eririn are going to release new photobooks soon. Eri’s PB entitled “Eririn” will be released on the 26th (next week). I think this is a must have photobooks for Eri’s fans since this is most likely her last one while still a member of Morning Musume. Momo’s PB on the other hand will be release next month. It is entitled Momochi Zukan and it is due on October 20th. No previews has been released so far. But I gotta have my hands on this one since I’m a Momo fan. Before I forget. Today is the 14th of September and it’s Morning Musume and Hello! Project’s one and only leader, Takahashi Ai’s birthday! Coincidence? Well this looks like a Morning Musume rivalry as I see it. Kataomoi is one of my favorite Buono! songs ever. It’s just so rockish and cool. Oh yeah! S/mileage rank #9 on Music Station’s new artist that will breakout in the second half of the year. They were just beaten by artist such as Shoujou Jidai (SNSD) and Kara. Which are like Korean girl groups. Well I guess that ends my Hello! Project fandom. Tune in tomorrow (or tonight whenever I feel like it) for my JPOP fandom to breakout. Suzuki Airi’s 3rd DVD Natsuyasumi’s preview has been released on upfront’s official youtube account. I have been a fan of Airi ever since the start of my Hello! Project days. This DVD is definitely a must see I guess (along with the PB of course). I know it’s pretty much 2:51 seconds of staring at Airi with C-ute’s The Party playing in the background. But heck this is just the preview and I pretty much enjoy it. Much like the past 2 PB’s, this one is not far from that. It doesn’t show much difference in terms of Airi growing up, etc. But it shows how Airi has gone more prettier the past few years. I also noticed how the yellow bikini matched her so perfectly. It’s as if sweeping away the blue one from last year. The DVD is due on the 25th while the PB was released today. Okay so first of all this is solely based on my observation. I have seen almost all of Hello! Project members performing live, on TV shows, on radio shows, variety shows, etc. You could say who are born or destined to be idols for life. Being an Idol isn’t meant for everyone I say. For example, I see Konno Asami having a brighter future if she’s not an Idol. When you combine talent and beauty to an Idol. You can’t go wrong with this one. Airi is just born to be an idol. She’s a natural beauty. She’s the youngest ever idol (I guess) to lead a single. And finally, she almost took over C-ute! She’s still young and I can see her as the future of Hello! Project together with some of the most talented Hello! Project Eggs. Her singing vocals are awesome! Way awesome I guess. She has that Idol Aura that makes you love her more. 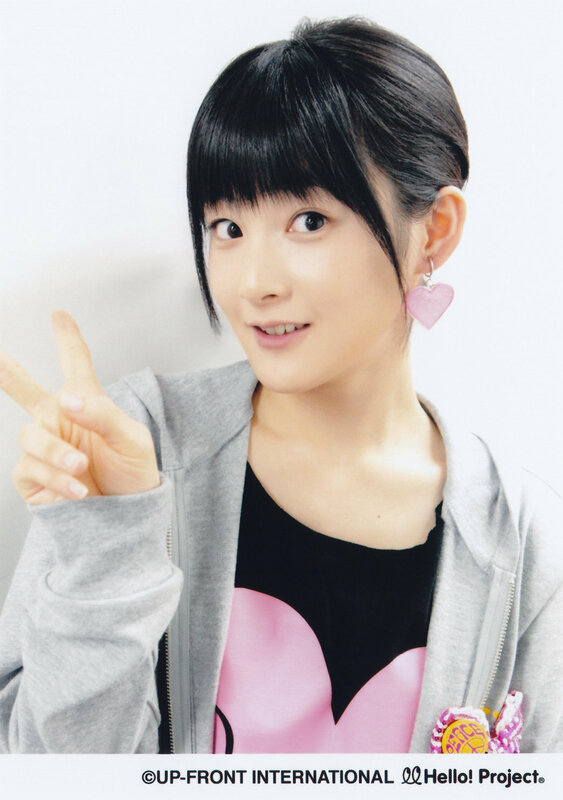 Even if it happens that S/mileage will disband in 2-3 years, I can see her still going solo as an Idol. I call her the future of Morning Musume. I really admire this girls vocals. It’s so powerful. She’s like a younger version of Takahashi Ai. And I can see her taking over Morning Musume in the future. Just wait and see. Ai and Risa won’t last 5 years longer with the group. Mitsui is just pure cuteness no talent. Linlin, though Tsunku hasn’t given her a decent amount of lines yet, will take over Takahashi Ai’s place soon. Just wait till Ai graduates or something, you’ll see her taking over almost all of Ai’s lines in every Morning Musume song. It’s not because they’re cute. It’s because they love what they’re doing. As young as they are (12 and 11 respectively this year) you can see how they are enjoying their status as Hello! Project Idols. Let’s start with Nanami first. At the beginning when they had the Shugo Chara audition and they got Nanami. I thought WTF were they thinking! 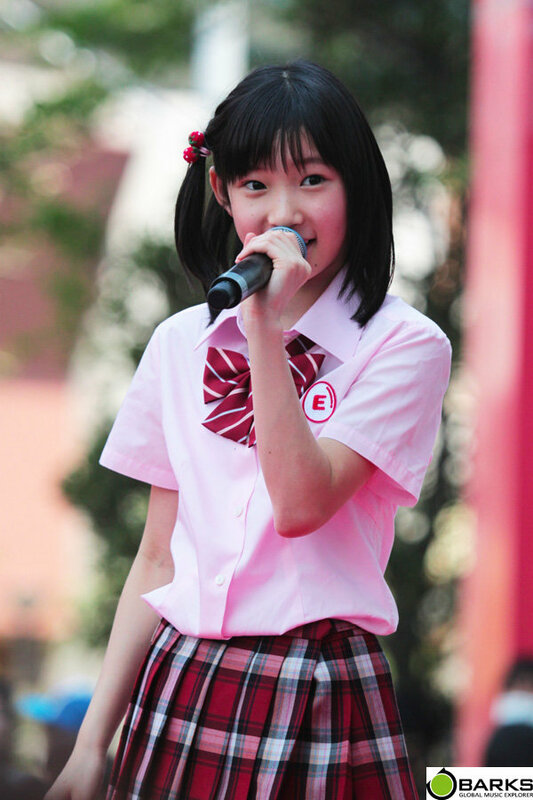 I saw Nanami’s picture on the audition and she’s no way look like an idol. Yeah I know that was a horrible shot. I haven’t watched Shugo Chara for a while then. But I gave it a shot since I heard the new girl is going to appear. And immediately I was impressed of her presence on the TV. She’s not shy like most new comers are. She’s comfortable on doing her job. Then, the next thing that came to my mind is her singing. She’s only 10 so I thought her voice was horrible. Something like Nakky’s voice on Lalala Shiawase no Uta. I saw the performance and I thought “Hey this girls has talent”. Her voice isn’t that great…. yet. Wait for a couple of years she going to take over! Yeah this performance made me see the future of her. She’s actually good. Yeah I know she’s still has the cute charm that’s why everyone loves her. But this girl in a matter of a year! Yes only a year! Tsunku’s gonna give her something big wait for it! She’s actually in a new unit with her H!P Eggs buddies right? At the very beginning of my Hello! Project journey. She was the first girl to come in my life. She was born to do what she’s doing. I know that she’s growing old already and she has plans on going to college (yeah check that out). But she’s like the opposite of Konno Asami. She has a brighter future as an Idol believe me. And I just wish she does. She can’t be a model in the future she’s small. But she can be a singer, an idol! She won’t be with Berryz forever. But after she graduates believe me she’s still going to pursue a career as an idol. Here’s a video of Satoda Mai praising Tsugunaga Momoko. It was really hilarious but at the same time true. Momo is really really like that isn’t she? Congratulations to me!! (yes me the Chief Editor and one of the 3 active members of jkmusicph) It’s my first anniversary since I started getting hooked on Hello! Project. Though it’s not exactly the 11th of May, it’s actually earlier. But I consider the 11th of May as my anniversary because it’s the date that I joined Hello! Online. And also around this time. I know more groups other than Buono! and Shugo Chara Egg. This got me interested with them. So I googled Buono!. And I found their wikipedia page. I was shocked when I saw that they were so young. Momo and Miya are a year older than me and Airi was a year younger than me (actually 9 months younger). Then I clicked the members own wikipedia page and I saw that they are with other groups other than Buono! I saw that Miya and Airi were in Aa! Miya and Momo were with Berryz Kobo. And Airi is with C-ute. My favorite back then was Renai Rider. But as time passes it also changed. Well then, after Buono! 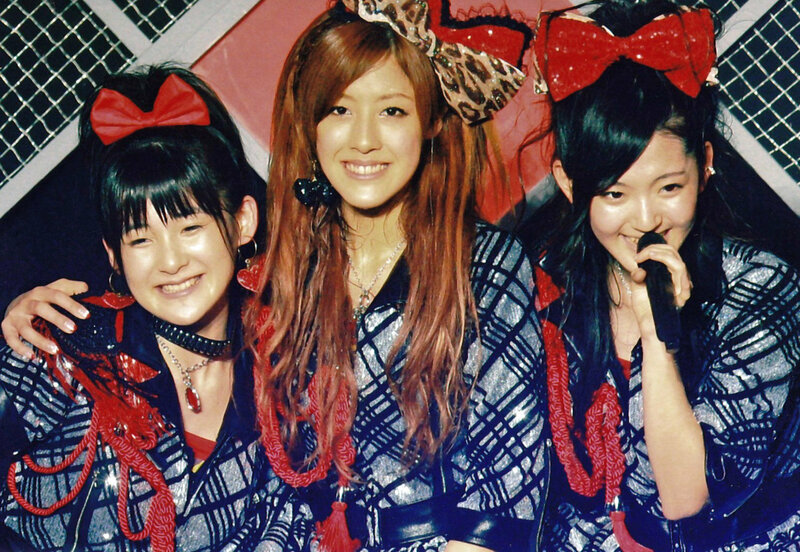 I got hooked with Berryz Kobo. If I remember correctly. It was because I searched Momo a lot. So I searched Berryz Kobo on Youtube and the first thing that came to me was Berryz Kobo’s Madayade. Madayade is an interesting song. I really liked it. But that time I didn’t bother to know each members because they were like 7 in the group. But after sometime and more songs. I get to know each members. It took some time for me. But eventually I got it. (wait till we get to Morning Musume). Here’s another Berryz song that I really liked before. And my all time favorite Berryz Kobo song. ~If you’re wondering how I remember all this. I’m checking out my old blog Hybridpunch (yes named after Buono!’s first concert).Which will be deleted shortly after this post. I really loved this concert. It was the first concert that I downloaded on Hello! Online’s Torrent. So after BK. I went to C-ute. After Momo, I found Airi cuter for some unknown reasons (maybe she’s meant for me) Kidding. So I googled C-ute and I found out that their highest selling single then was Tokkaiko Junjou (just for everyone’s knowledge, C-ute’s highest selling single now is Everyday Zekkouchou). So I really liked Tokkaiko Junjou a lot. It lived it’s expectations. So after it, I searched a lot more C-ute songs which I don’t remember which came in first. But I’m pretty sure one of the first were Bye Bye Bye, Forever Love, and Meguru Koi no Kisetsu. So, unlike BK. It didn’t took me sometime to get to know them. I already knew Airi, Maimi is the leader with the long hair, Erika is the oldest, Kanna came from H!P Egg, Chisa is the tomboyish looking girl (before), Mai is the youngest, and Nakky is a younger version of Maimi (that’s how I think it works before). So It seems that Hello! Project kids were the first H!P members that I knew. Before we go to Morning Musume. I also want to share to you another group that I first learned Shugo Chara Egg. Actually before, ManoEri was one of my favorite in Hello! Project. She’s like 3rd after Airi and Momo. 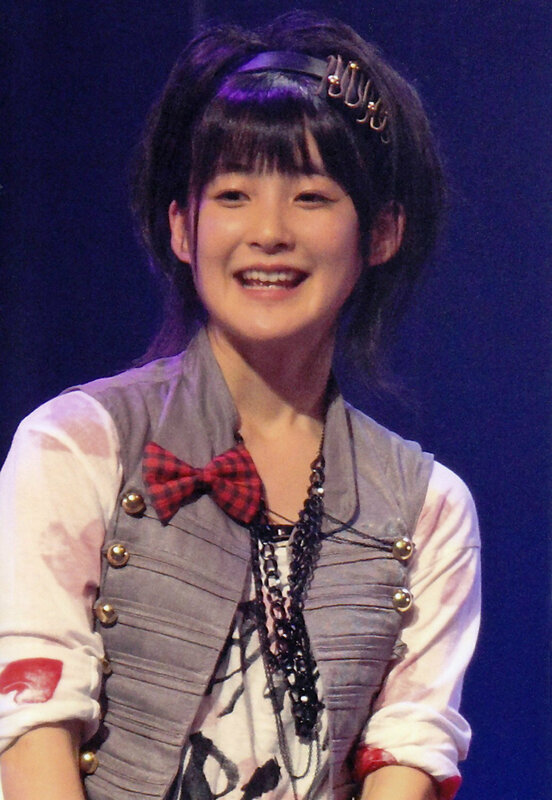 But eventually I got hooked in to more of H!P she went down until she’s no longer in my top 10. Though, she’s in my top 10 most beautiful Hello! Project members. How I got in to Morning Musume is still a mystery to me. I don’t actually know why and how. But what I’m sure about is that I saw their last #1 single, Shouganai Yume Oibito. I didn’t liked it at first because it wasn’t Buono!~ish or C-ute~ish. It sounded different. So I ignored them and went to my normal routine of C-ute (yes I got so addicted to C-ute after that). But then while searching some more videos of Shugo Chara on the internet. I luckily found one. And if I’m not mistaken. There was this person asking for some suggestions of anime like Shugo Chara. And someone replied to that person and suggested Kirarin Revolution. So I googled it (yes google is reliable) and found that the opening them was sung by another Hello! Project member, Koharu Kusumi. So I searched for Koharu Kusumi. Then after that I learned she was a member of that group that I didn’t liked Morning Musume. This I remember clearly. I searched Koharu Kusumi on youtube and the very first video that I saw from her is her performance of Hapi Hapi Sunday. 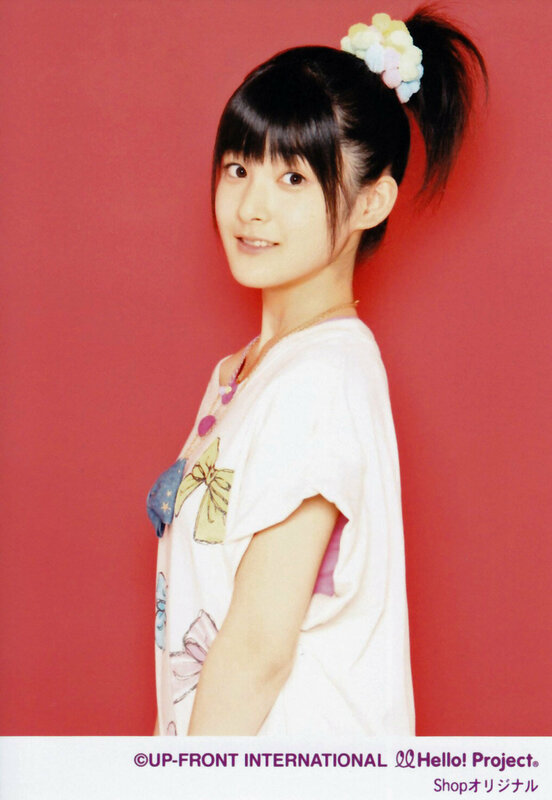 So I got interested with her, the I searched for Morning Musume again. I got lazy the moment I saw them because they were a lot. Though they were only 9 members at that time. It was still a lot for a group. So there were a lot of songs. And I mean a lot. Though I mentioned that I didn’t liked the song before, after constant hearing and after downloading the song. I got hooked to it finally. So that’s how I got in to Morning Musume. How I get to memorize them is also a mystery for me. The current line-up is no problem for me. But the whole Morning Musume. Yeah I know them all but I don’t quite remember How. What I’m sure about is only two members. Kago Ai and Tsuji Nozomi. I learned about Kago Ai because there was this time were I thought that, “Do Hello! Project girls get in to scandals”. So I googled (yes ol’ reliable) Hello! Project Scandals, and the very first one that came out was Kago Ai’s smoking scandal back then. I was shocked when I read this especially the fact that Kago was about 16~17 when she did this. So I went to Kago’s Wiki page and saw that she’s a member of Morning Musume as well as Mini Moni and W. I don’t know which came first, if it’s Mini Moni or W. But I both loved those groups. So now I remember how I learned all of the members of Morning Musume. It was their sub-groups and by singles. Since members constantly changed since the creation for every single except for Mikan until Kimagure Princess. I tried learning each members by the single. And if I’m not mistaken one of the first singles that I tried learning to was Mr. Moonlight ~Ai no Big Bang~. In this single, I learned everything about Yoshizawa Hitomi…. Okay so after that I can’t remember anything on what singles I learned about the other members. I learned about Yaguchi Mari because H!O constantly post blog translations from her. Other members… hmm… okay no idea. But I think you get the whole point on my Hello! Project beginnings. So I think that’s It. If you read this Thank You for patiently reading through all this. Yes it’s another edition of our Saturday Night Live! 5 Live Performances from your favorite J-POP and K-POP Artists. OMG! Everytime I see her perform this, it keeps my spirits up! While we’re at it let’s throw in a bonus clip from Shugo Chara! Haha! They’re really crazy aren’t they? I really love this performance because it’s Chisa doing the lead vocals along with Airi! Two of my favorite H!P members! This one has a lot of meaning for me since this was one of the first songs that got me into H!P. Plus Momo’s “Whoa Whoa Yeah Yeah Yeah” is really cute. And this one. 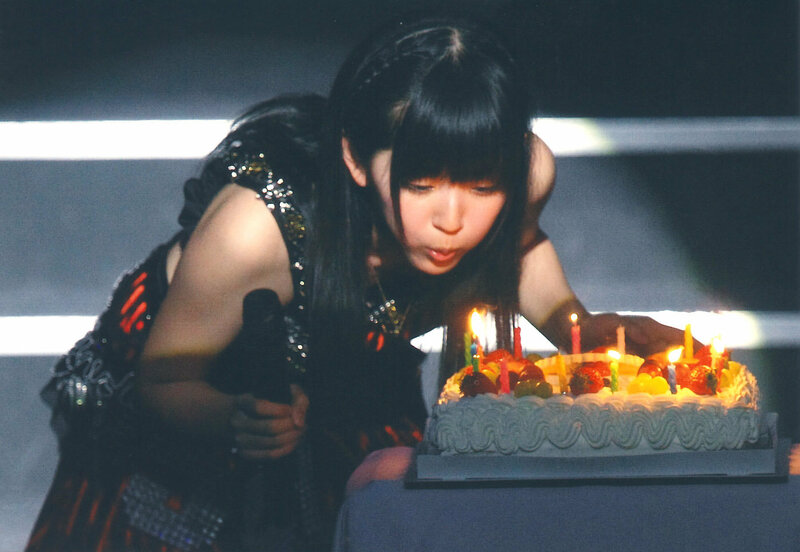 This one is my favorite performance by a H!P Kid ever! I mean Airi and Rii. Two of H!P vocal powerhouse in one song. This has got to be awesome! And here’s a special performance of Very Beauty this time it’s Momo taking it solo! After clicking ‘Publish’, I saw Berryz Kobo’s Live performance of Rival from the same concert as Momo’s Very Beauty and I just can’t help but post this. Rival to be honest is the one that made me love H!P and everything about it so this song has a lot of meaning to me.